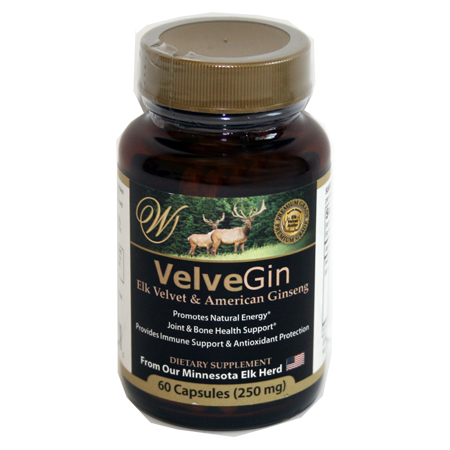 VelveGin | Elk Velvet Antler | Wapiti Labs, Inc. I was pleasantly surprised how well my knees felt after taking this product, I was hesitant to purchase it with it being a bit spend-y BUT it’s worth every penny! I can certainly tell the difference when I forget to take it.